For the twelfth year, governments and NGOs have been commemorating World Day Against the Death Penalty. While the major theme is always “get rid of capital punishment!”, each year there is a particular issue or world region that gets particularly emphasised. This year that theme is mental illness. Mental illness and the death penalty is a big issue. International standards say that people suffering from mental illness should not be executed (older standards use different terminology, such as ‘insane’). People with mental illness are over-represented on death rows around the world, and the experience of being on death row can itself cause mental illness, something known as ‘death row phenomenon’. 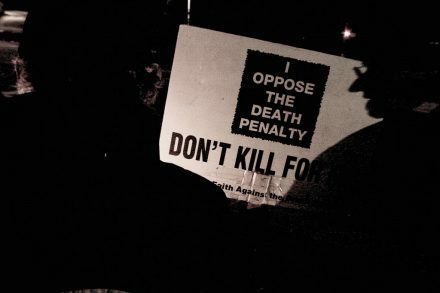 PRI has written about this before (especially useful if you are interested in the various legal rulings that have included the concept of death row phenomenon), but there are also other mental health impacts of the death penalty. It has long been known that the person condemned is not the only one affected by a death sentence and execution. There has been work done in the last couple of years to describe the impact on children of having a parent sentenced to death, and PRI is looking at some of the other groups involved, including defence lawyers and (forthcoming) prison guards. The impacts are different for each group. Children can feel angry or distraught, losing interest in school, playing, or eating, can have trouble sleeping and may become more violent towards themselves and others. Some may develop post-traumatic stress disorder (a particularly powerful example is the impact on Iranian schoolchildren who were taken to watch a public execution, detailed in the ‘execution’ section of this paper). They may face stigma and shame from those around them, becoming ‘tainted’ by association with their condemned parent. The effect on prison guards is similarly severe. A retired American guard, Jim Willett, has spoken repeatedly about his experience as a death row warden, overseeing executions in Texas. One former prison guard in Kazakhstan, who used to participate in firing squads, now ‘lives a lonely and secluded life’ and is troubled by nightmares and memories of those he executed. He believes that he was given case notes of prisoners in order that he would hate them and not hesitate to participate in the execution. He was also paid extra for being an executioner, something that the Indian state of Kerala has taken to extremes. For most people, an execution is something that may seem justified or may seem abhorrent, but it is at least distant. But for the children, lawyers and guards (and others), it is something that is close, personal and leaves a lasting (often lifelong) impression. Those deciding whether this punishment should be imposed should think more widely about whose lives they are touching.